The photoionisation of rubidium in strong infra-red laser fields based on ab initio calculations was investigated. The bound and the continuum states are described with Slater orbitals and Coulomb wave packets, respectively. The bound state spectra were calculated with the variational method and we found it reproduced the experimental data within a few percent accuracy. Using the similar approach, ionisation of Rb was also successfully investigated. The effects of the shape and the parameters of the pulse to the photoionisation probabilities and the energy spectrum of the ionised electron are shown. These calculations may provide a valuable contribution at the design of laser and plasma based novel accelerators, the CERN AWAKE experiment. 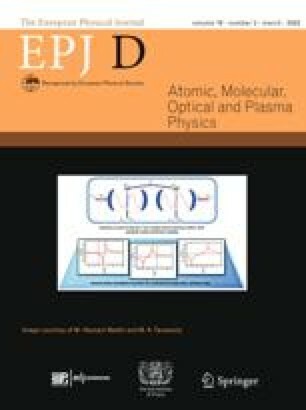 Contribution to the Topical Issue “Many Particle Spectroscopy of Atoms, Molecules, Clusters and Surfaces (2018)’’, edited by Károly Tőkési, Béla Paripás, Gábor Pszota, and Andrey V. Solov’yov. Open Access Open Access This is an open access article distributed under the terms of the Creative Commons Attribution License (http://creativecommons.org/licenses/by/4.0/), which permits unrestricted use, distribution, and reproduction in any medium, provided the original work is properly cited.